After highlighting how easy it is to run docker swarm in Photon OS, I had a follow on question on how easy it would be to test the functionality. Just to recap, the only additional step you need to get Docker Swarm running on Photon OS was to open port 2377 on the master node. After that, you simply initialize the master, and all the other nodes/VMs are added as swarm workers. You might be wondering if you need to do a bunch of other stuff in iptables for docker, but the answer is no (for this relatively simple test anyway). Once you enable docker on Photon OS, a whole bunch of docker chain rules are added automatically. So let’s look at the following example of a single master with two worker nodes (3 different Photon OS VMs). What I plan to do is create a web server service using Nginx, and scale it out from 1 to 2 to 3 replicas across my swarm cluster. Let’s kick it off. Let’s start with a look at the iptables on one of my Photon OS VMs that will become a Docker Swarm worker. This is before I enable and start docker. You can see the difference for yourself. OK – let’s flip over to the master node/VM, and open that port I mentioned and initialize the Docker Swarm. Swarm initialized: current node (jxk3918ei5sj9h0dso0j4jl34) is now a manager. Now you might like to save this permanently. This can be done by using the iptables-save command, and storing the output in ip4save, which is located in /etc/systemd/scripts. When iptables restarts, it will read the saved iptables rules in from this file. Let’s now join both of our workers to the swarm cluster. Looks like both nodes are active in the cluster. Let’s check it from the master. We should now see 3 nodes in the cluster. Looks like it is running on one of the workers. Let’s see if we can access the welcome page from that worker. OK – that was successful. Let’s scale it out with another replica. This one seems to have started on the master. Let’s see if we can access the web server from that node. Looks good. Let’s scale the service out one more time, so we have 3 replicas. And as before, lets see where it ends up running, and if it can be accessed from the node. So this time, it was started on the final worker node. Now we have 3 replicas of the service running. Great. 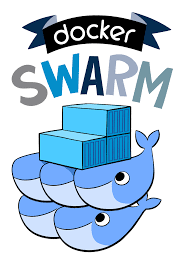 So hopefully that gives you some idea on how you can get started with a simply application to test Docker Swarm running on Photon OS.